It is important not to settle when it comes to finding the ideal Sandston Tree Removal Company for your service needs. We don't mean to brag about being the top choice for this type of work but we can't help but know how hard we have worked to earn that title. Not to mention, C.S. Flournoy has been working for well over three decades to take care of our local customers in Sandston, VA. So many homeowners focus on other tasks around the inside and outside of the home, but most are only cosmetic or important for aesthetics. When it comes to taking care of your trees there are most important issues at hand. 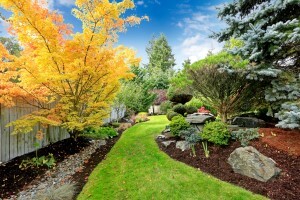 Sure, they impact the look of your home or yard but there is a great deal more to it than that. For instance, you should also be concerned about the safety and well being of your home and that can be affected by the trees growing outside your house. Maybe you need tree trimming in order to let more sunlight reach your solar panels. It could be that overgrown tree roots are starting to destroy the walkway near your pool – meaning the pool is next. Or maybe the limbs have been neglected for too long and are starting to tear at the siding. Your Tree Removal Company is here to help you take care of whatever you need done when it comes to your trees and your home. In some instances you may need to trim your trees and in other cases you need to consider Sandston Tree Removal. By working with a trusted professional you can rest assured that you will get the advice you need so you know which way to move forward. At C.S. Flournoy we take great pride in being able to provide the best in service to Sandston locals and surrounding areas. Of course we cannot begin until you give us a call. Let us review your options with you and then show you firsthand what makes us the top choice in the area for this type of service. We look forward to working with you now and for years, if not decades, to come. Once your tree is cut down and removed, the matter of the tree stump is still left behind. We can either remove the stump completely or grind it down so low that it's no longer visible and cover it up with grass and dirt. No matter what you choose, we can ensure your tree stump is no longer an eyesore or safety hazard to your property. Give our Sandston Stump Grinding experts a call today and we can provide a free consultation to identify your needs. So what are you waiting for? Take the best care possible of your home and property by letting the C.S. Flournoy team of experts get the work completed for you. When it comes to Sandston Tree Trimming, along with other related services, there is no one better to rely on. "Thank you for another perfect job! The guys worked in the pouring down rain, they got the job done and I was very impressed at what they did. Great Job Guys!" If you are looking for a Sandston Tree Removal Company then please call 804-264-1000 or complete our online request form.